Hookah smokers inhale large volume of smoke. The smoke is full of toxins. Hookah develops even more carbon monoxide. Smoking is injurious to health and so is hookah. Most people who smoke hookah believe that it is safer than smoking cigarettes however they maybe doing themselves as much damage to their health or even more as dine by smoking. If you don't know anything about hookah, let's get you up to speed. Hookah, also known as narghilen or shisha, comprises of a water pipe with a smoke chamber, a bowl, a pipe and a hose. Inside a hookah a specially made tobacco pack is heated. The heated tobacco generates smoke which passes through water to reach the rubber hose held by the smoker. You can inhale the smoke from a mouthpiece at the end of the rubber hose. People usually believe that the water in hookah would have filtered the smoke making it less toxic and eventually less lethal. However that is not the case. The tobacco inside hookah is equally toxic in a hookah pipe as it is in a cigarette. Moreover the water in hookah does not filter out the toxins from the tobacco smoke. In fact, hookah smokers may actually inhale more tobacco smoke than cigarette smokers do because of the large volume of smoke they inhale in one hookah session which may last for more than 30 mins or even an hour. While research about hookah smoking is still inconclusive, evidences which are available so far show that it is more damaging than cigarettes. Here is why hookah is the ultimate bad boy here. Hookah smoke contains high levels of toxic compounds, including tar, carbon monoxide, heavy metals and cancer-causing chemicals. In fact, the amount of carbon monoxide and smoke from hookah is much more than from cigarette. Just like cigarette smoking hookah smoking also delivers nicotine in an amount large enough to develop tobacco dependence. Hookah smoke poses all the dangers of secondhand smoke. Hookah smoking by pregnant women can result in low birth weight babies. 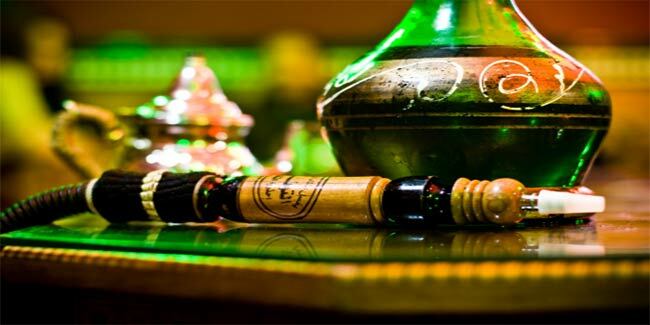 Hookah pipes can be unhygienic posing risk of infectious diseases.